I’m trying something new here. Y’all know how much I love Louisville, and while it’s always talked about in my posts there’s nothing dedicated to it, until now that is. I’ve started to get questions about what to do, where to eat, etc., and I’ll have to say, I’m flattered. I’ve decided to add a section all about Louisville to the site; it’s something I’ve been pondering for a minute, and I think it’s time. 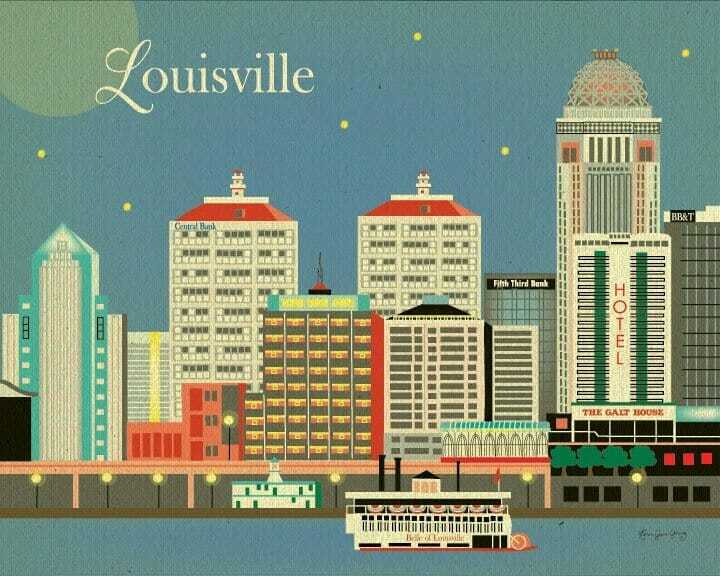 I’ve added “Out N Lou” to my main menu, and it will be consistently updated with what’s happening around Louisville. In addition to that I understand that there’s typically a lot that goes down on the weekends anymore, and I’ll be rounding up what’s on my radar right here every Friday morning. Now you’ll know where to find me around Louisville on the weekends! If you ever see me out please feel free to stop me, introduce yourself, and say hey. I love getting to meet everyone that visits the site. Enjoy American Horror Story: Freak Show? Don your best clown costume and head to Play Louisville. Win some prizes while you enjoy one of the best bars in the city at Garage Bar’s Halloween Party. Check out the “newly” opened Coppers & Kings as they present Nick Cave’s Murder Ballads. Sing along with Pass to the Future and The Deloreans at Haymarket Whiskey Bar if you’re a David Bowie fan. It’s the last weekend for the Jack O’Lantern Spectacular at Iroquois Park, see it now or wait until next year. Hop on board a special Halloween edition of FAT Friday Trolley Hop sponsored by Maker’s Mark (yes, you are encouraged to hop in costume). Tour the city while getting your cardio on a Haunted Spirits and Spirits Thirsty Pedaler Tour (Sunday night only). Atlantic No. 5 is doing a pop up dinner series at their Main Street Location until they open for real on November 12th, make reservations at [email protected] or call 502-883-3398. That’s all I’ve got for now, BUT if you’ve got something that you think I should add to next week’s list or my Out N Lou calendar I’d love to hear from you, drop me a line.